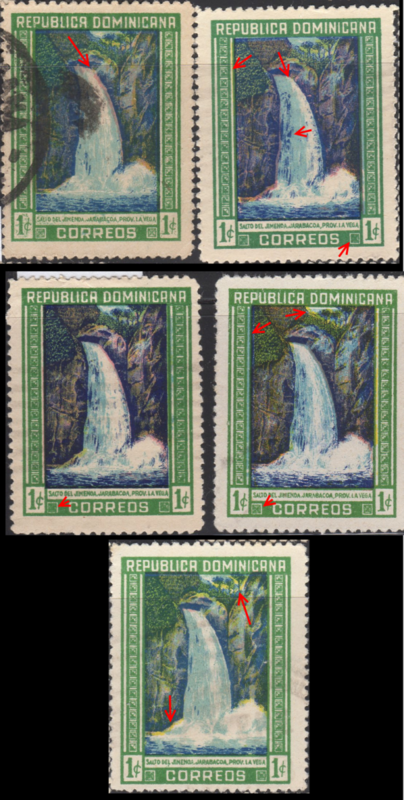 Just finished sorting and mounting my pile of Dominican Republic stamps (not to be confused with “Dominica” by the way… Found lots of Dominica mixed into my various piles I have acquired over the years). 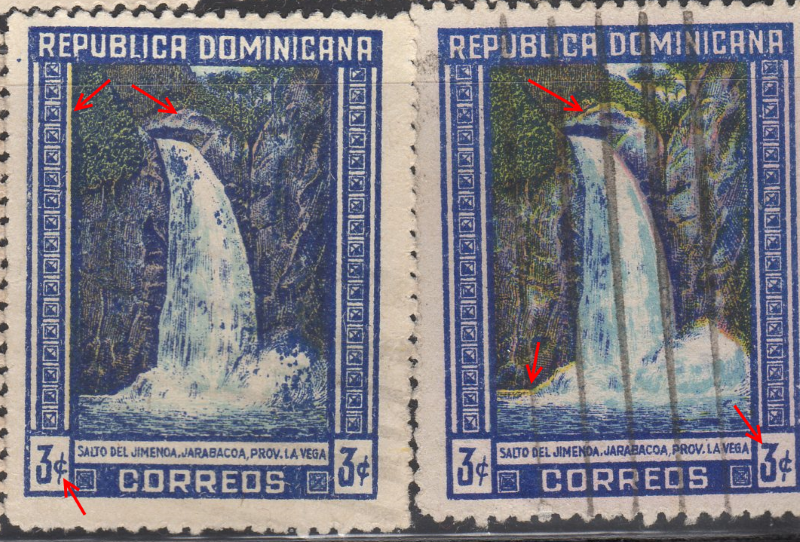 Pro Tip: The easiest way to sort these out is noting the fact that they speak Spanish in the Dominican Republic (the island of Hispaniola along with Haiti on the other side). 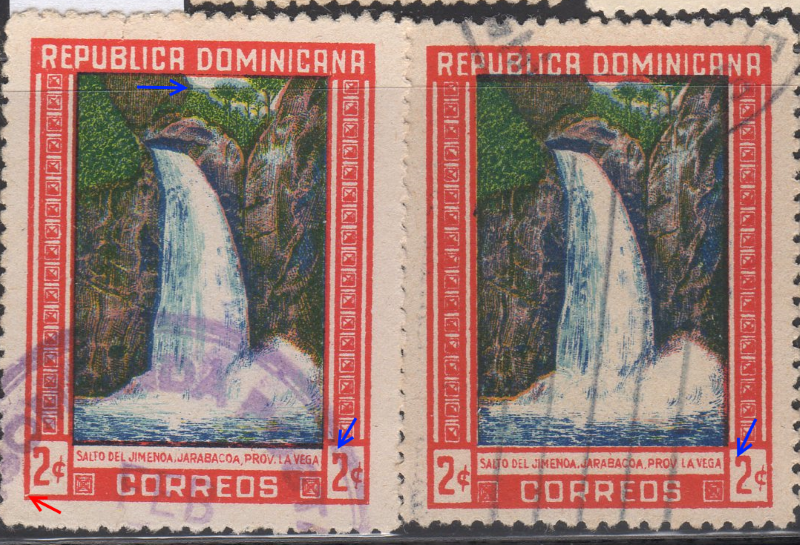 Dominica – English. 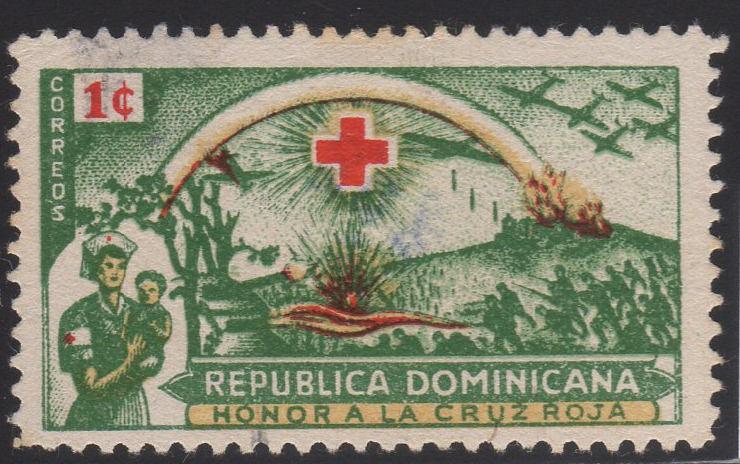 These early engraved stamps with multi color printings are many times a sure thing when looking for color shifts. 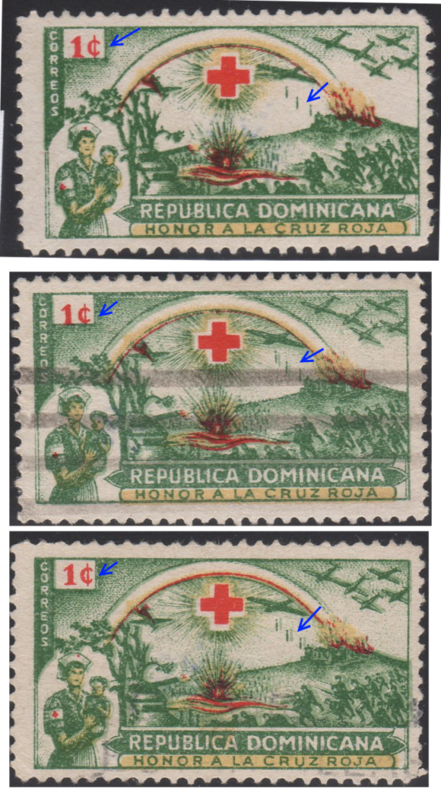 I noted a few with arrows. 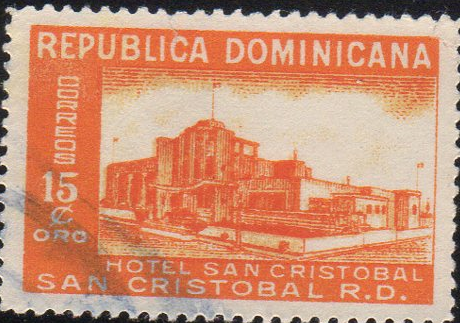 This 1950 Hotel Jimani issue has a nice showing of a little extra inking on one of the buildings on the right hand side of the stamp. 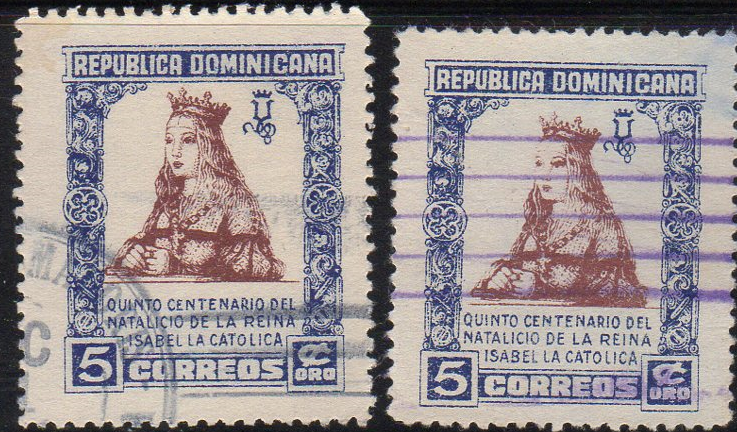 On of the only stamps issued in 1951 for the Dominican Republic for the 500th anniversary of the birthof Queen Isabella I of Span. 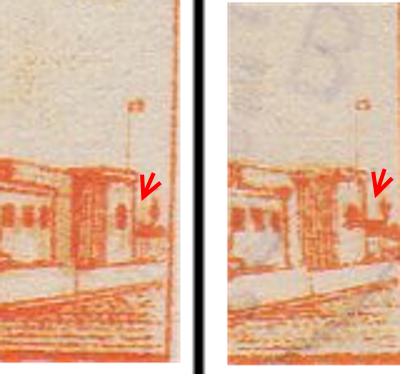 Note how she is shifted compared to the background color. 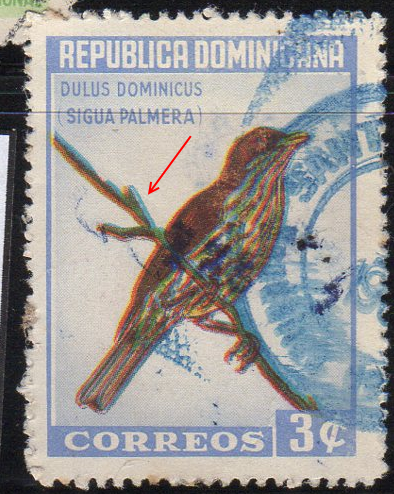 And finally, this bird stamp of 1964. I only have one copy but it has quite a color offset in the background. Posts like this highlight the importance of multiples (as having comparison points).